There's an influx of foreign buyers from the U.S. and China in B.C. 's capital region, Christie's says. 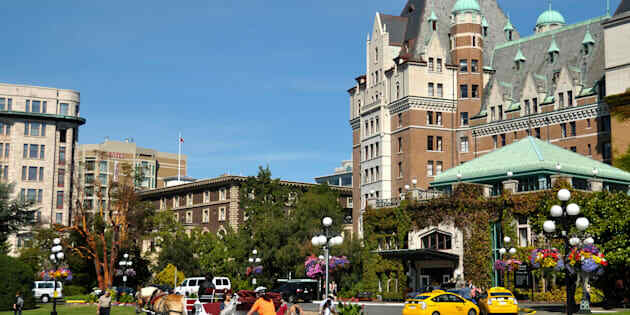 A part of the Fairmont Empress Hotel and surroundings, in Victoria, B.C. The city has been named the world's hottest luxury market for 2017 by Christie's. Victoria, B.C. has landed the top spot on Christie's global list of hottest luxury housing markets.